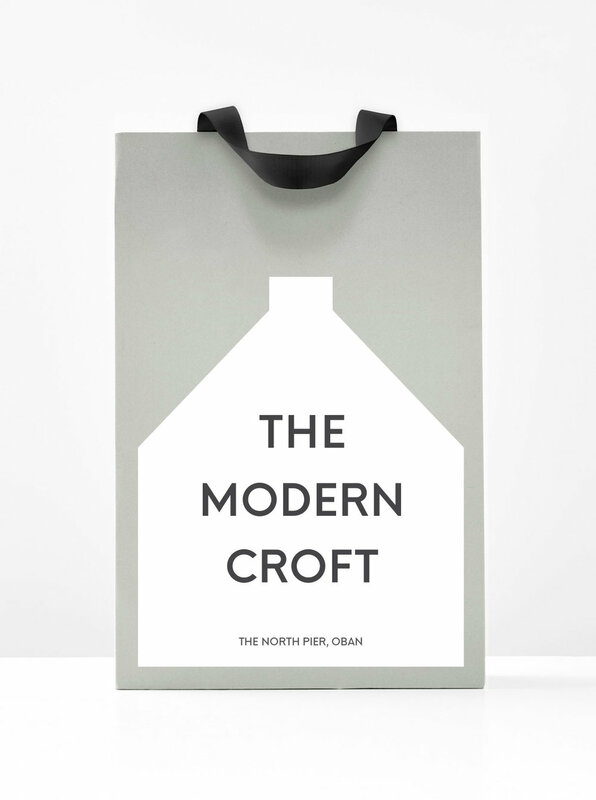 Creating the identity for The Modern Croft was an opportunity to reinvent the Scottish tradition of crofting in a contemporary retail brand. The business aims to promote craft industries and the work of small independent makers from Scotland and beyond. Our identity is inspired by the traditional highland croft house. The simple yet distinct lines of which are a unique feature of the Scottish landscape. Bold, often white, the shape of a croft house’s gable-end is unmistakable and the perfect icon on which to base our identity. We worked with owner Isabella McRitchie to develop The Modern Croft positioning and messaging. It was important to strike the right balance between traditional Scottish values and contemporary design. 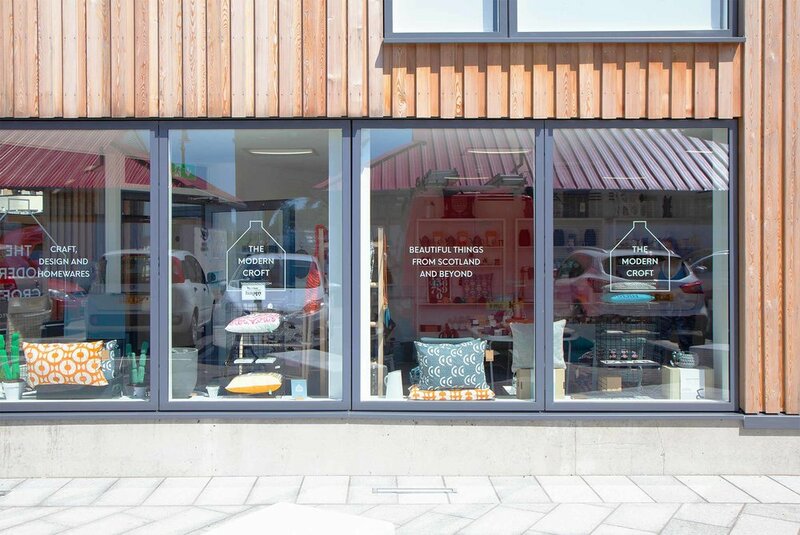 The business, which operates from the busy West Coast town of Oban, attracts visitors from all over the world, as such it had to have a broad, universal appeal while feeling bespoke and curated. The brand is subtly expressed via a set of minimal tools; bespoke swing-tags, packaging, point-of-sale materials. All help to communicate the carefully crafted quality behind each of the products for sale. Simple signage helps to direct customers to the shop, located on the towns North Pier. We commissioned a traditional sign-writer to create beautifully crafted a-frame signs. Simple identity guidelines ensure the brand communicates consistently. A sophisticated colour palette, inspired by Scotland’s West Coast, alongside refined minimal typography allows The Modern Croft brand to co-exist alongside the brands it stocks. A croft is a fenced or enclosed area of land, usually small with a crofter's dwelling. Crofting is a traditional farming system in Scotland and is characterised by its common working communities, or "townships". The Highland clearances, during the 18th and 19th centuries, saw many tenant crofters evicted. As a result their croft houses fell into a ruinous state. Croft houses that remain today tend to be isolated and, in the West Highlands, are usually painted white. They have become an icon of the Scottish landscape. It was important that the identity we created for The Modern Croft felt authentic. We used the croft house as a symbol of traditional Scotland and have reimagined it for a contemporary purpose.